Say "no" to stress incontinence. You are not alone, Urinary Stress Incontinence affects millions of women in the UK. 20% of women over 40 experience embarrassing leaks and over half of all women experience stress incontinence at some time in their lives. The good news is that for most women, weak pelvic floor muscles are the real cause of poor bladder control and they can be effectively treated by you at home through pelvic floor exercises, the recommended NHS treatment for stress incontinence. 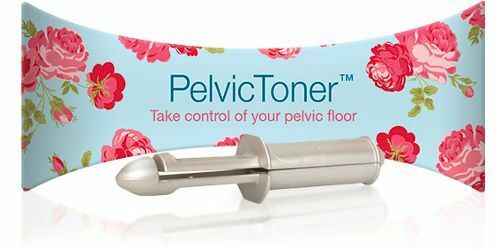 The PelvicToner offers a quick, simple and effective way to strengthen your pelvic floor in the privacy of your own home in just 5 minutes a day. Available on NHS prescription through your GP, the PelvicToner is clinically proven to be as effective as the "Gold Standard" treatment of a 3 month course of physiotherapy. The PelvicToner is available here for only £29.99 delivered - why don't you take control and start now?